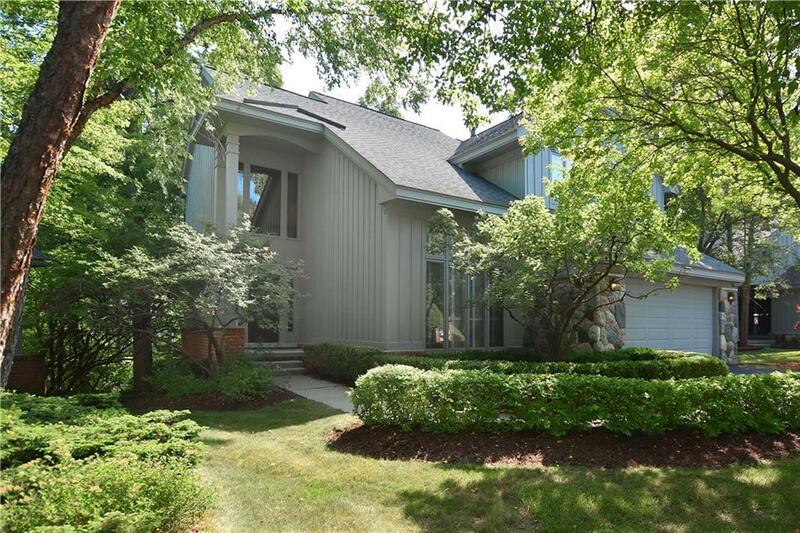 Pride of ownership in this meticulous free standing condominium with Bloomfield Hills Schools. Located in Woodcliff on the Park tucked away in a quiet and private cul-de-sac. Spacious floor plan wonderful for entertaining. Floor to ceiling windows in the elegant great room bringing nature in, and fireplace for cold winter nights. Off the great room is a separate wet bar. Updated kitchen with granite counters, island, separate breakfast area. Living room area has a fireplace. All rooms lead out to a deck surrounded by beautiful trees. Bright library/den/office on entry level. Master bedroom includes sitting room with fireplace, amazing walk-in closet, spacious master bath with shower, tub, and dual sinks. Finished LL has kitchen, full bath, bedroom, walk-out access, family room, and large storage area. 4 bedrooms, 3 full baths, 2 car garage, neutral decor. A must see!